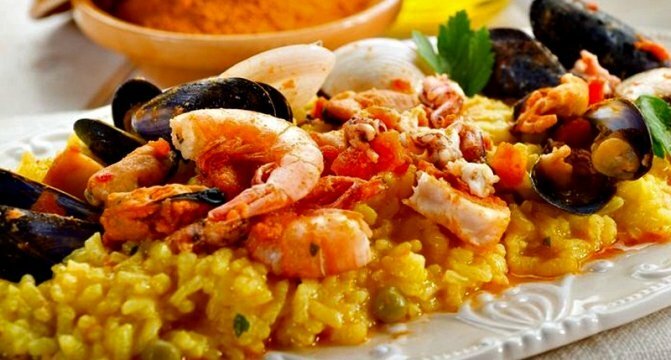 Spain-recipes, as its name says, is devoted to offer you the best selection of Spanish recipes, along with a careful selection of ingredients to match. If you're looking for authentic paella recipe, or the real sangria, Spanish tapas, or even the true gazpacho, look no further! You'll be able to find them all on spain-recipes! Is that all? Certainly not. In the Mediterranean area, there is no good meal without its complements: wine, olive oil, tapas, and so on. All this can also be found at spain-recipes.com, as well as the best cookbooks and kitchenware, in order to provide you with a unique experience in the Mediterranean diet. Thanks for your visit, and enjoy your Spanish experience! The Romans taught the Andalusians how to cultivate wheat and vines and used the fish from the seas to produce the best garum in the empire.